If you have subtitles in srt format, you'll be able to upload them on your video. You can upload SRT for your trailer / preview, and also for the full feature length. 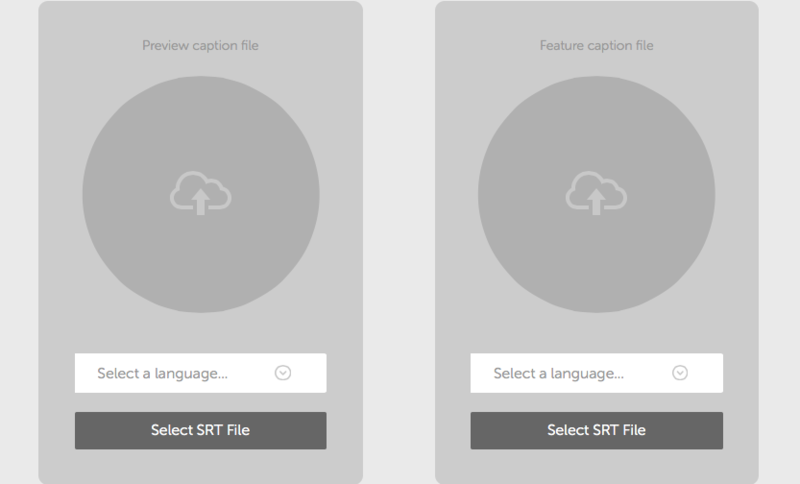 To upload a new closed caption, first select the language from the dropdown, then click 'Select SRT File' to choose the file for upload. Files should be '.srt' format only.